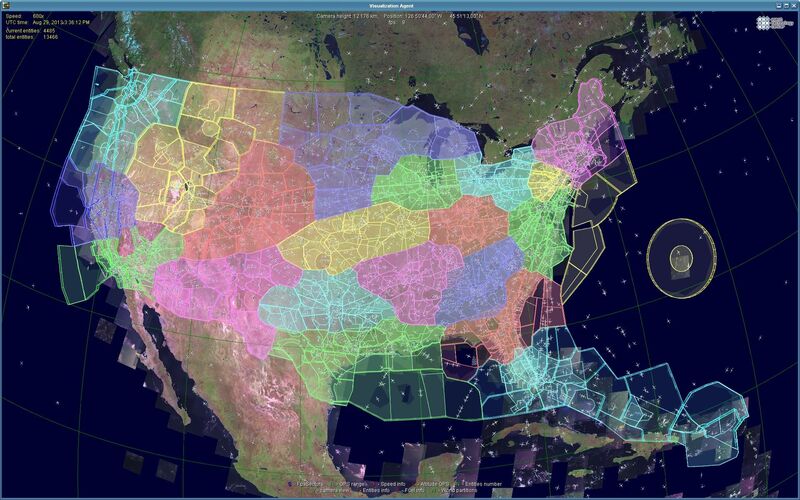 The AgentFly system is a NAS-wide (US National AirSpace) high-fidelity distributed multi-agent-based simulator with high fidelity flight trajectories and precise emulation of the human ATC (air traffic controller) operation workload model and human-system interaction. 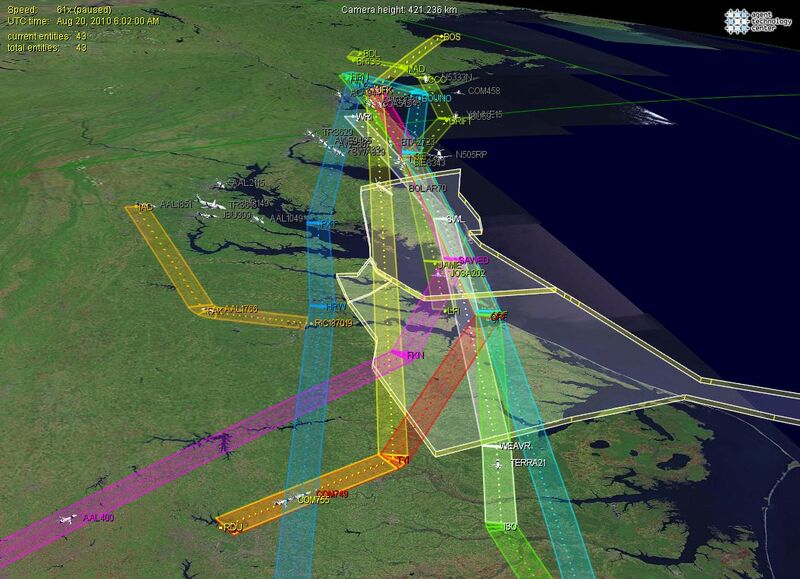 The AgentFly supports runway-to-runway simulation of all flights touching US NAS (National AirSpace) consisting of more than 60,000 flights per day. 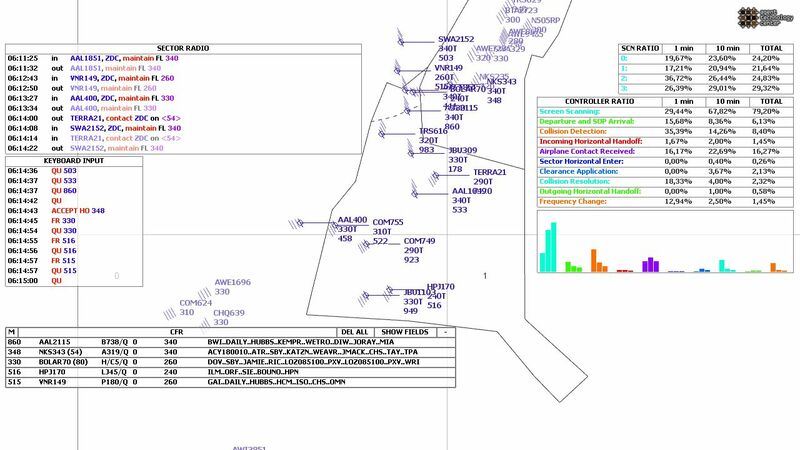 Airplanes are modeled with high fidelity that requires to focus on different problems: (i) BADA (Base of Aircraft Data) provided by Eurocontrol is used to provide precise model of the aircraft including thrust, drag and lift forces, altitude, pressure, temperature etc. that allows to compute various parameters, e.g. fuel consumption, (ii) trajectory planning to create realistic flight path using navigation fixes and respecting vertical profiles (iii) include influence of weather – specifically wind and storms. Air traffic is controlled using sectors. Each sector is controlled by air traffic controller. AgentFly models cognitive ATC behavior consisting of activities (collision detection and resolution, handoffs between sectors, radio communication with pilots, etc.). Each Activity is divided into atomic actions (thinking, talking to radio, typing to keyboard, etc.) requiring different resources – visual, cognitive, auditory, and psychomotor. Such model allows to model realistically performance metrics, e.g. workload.